When you visit a doctor, the last thing you want to worry about (while also worried about your health) is whether the doctor even has a license to work as a professional medical provider. Much like how a lawyer must be licensed before practicing the law, the state of California also ensures that those who practice medicine are also licensed according to the standards and regulations of the state under California Business and Professions Code Section 2052 PBC. If someone were to practice medicine without a license, they will have committed a very serious criminal offense. 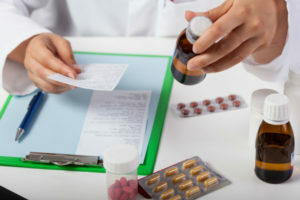 A license is necessary for medical professionals and includes activities such as diagnosing, treating, operating, or prescribing for a medical condition (whether physical or mental), practicing or advertising as a practitioner for healing an illness –all while not holding a medical license to do. Other activities included in the code involve even attempting to practice medicine as well as aiding someone else to do the aforementioned activities while knowing they do not hold a license. Penalties will apply even if the medical advice, practice, treatment, etc. was done in good faith. There is not a burden for the prosecution to prove that a victim was harmed or that the individual without a license intended to do harm. If someone not holding a California license is found to be doing the aforementioned activities, even to help others, they would be charged. If the accused is found guilty, they face a wobbler offense. Based on the discretion of the prosecutor (and on the case), a misdemeanor or felony offense will apply. The punishment for a felony is up to three years in a California jail and a fine, while a misdemeanor can require up to one year in jail and a fine.